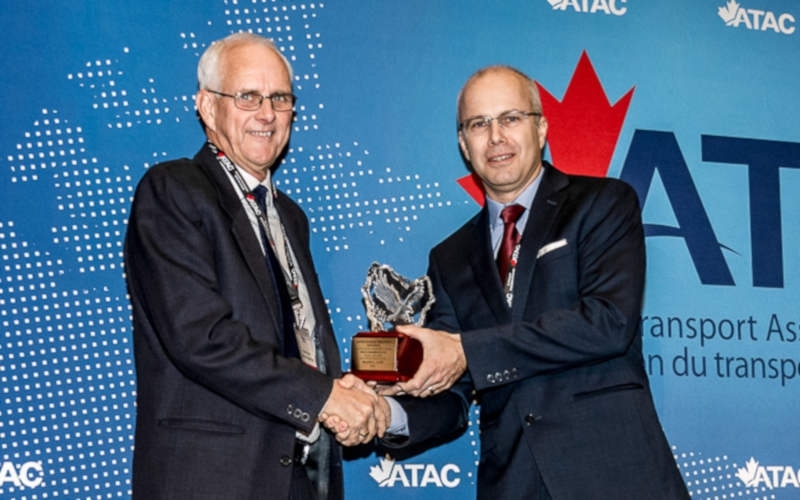 Wayne Cave of Chinook Helicopters, fixed-wing division, based in Abbotsford, British Columbia, received the 2018 David Charles Abramson Memorial (DCAM) Flight Instructor Safety Award. The presentation was made on November 14 by Adam Wright at Air Transport Association of Canada’s conference and tradeshow in Vancouver, BC. Organizers of the award explain Cave, who has been an aviator since the age of 17, quickly found a passion for flight instruction. His 14-year tenure with Coastal Pacific in BC, explains the award organizers, enabled Cave to develop and update a variety of post-secondary curriculum for the Bachelor of Business Administration Aviation degree program (BBAA). For more than a decade, Cave has greatly influenced the safety training for a large portion of pilots who have trained in Abbotsford, BC, where Chinook Helicopters is based. Cave started up the fixed-wing division for Chinook Helicopters. Cave holds an Airline Transport Pilot Licence and Class 2 instructor rating as well as multi engine and multi engine IFR ratings. His areas of speciality include practical and classroom IFR training and simulation instruction for a variety of aircraft ranging from the Cessna 172 to the Boeing 747. The David Charles Abramson Memorial Trophy, with the name of each year’s recipient engraved, is on permanent display at the Canada Aviation and Space Museum, in Ottawa, Ontario. During the award presentation, organizers acknowledged support from the Air Transport Association of Canada, Essential Turbines, Flightsafety Canada, Hamilton Watches, Seneca College, WINGS magazine and HELICOPTERS magazine.